A few days back Tech Giant Google Launched its all new Android P version though the name isn’t clear, they showed us the beta version of Android P and also gave pixel devices a Beta update. There are Many features on Android P that make it’s so Attractive and all refreshing, one of which is the Android P’s Volume Slider Feature, which acts as a volume slider on screen and comes handy sometimes. Not every phone will get an Android Beta Update so soon so today we will show how you guys can have the Android P’s all-new Volume slider on any of your Android devices right Now. Previously, a horizontal slider that dropped down from the top of the screen, the new solution is a vertical slider that appears at the edge. That might not sound like a huge difference, and in reality, it isn’t, but if you are craving for something new, then this is one change you can get your hands on right now. 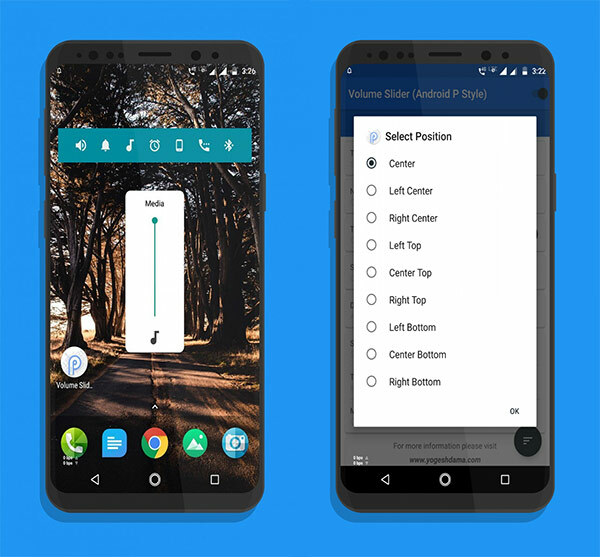 Available for free or as a $0.99 app on the Google Play Store, Android P Volume Slider brings the, well, Android P volume slider, to any Android 4.1 or newer device. If you ever wanted a descriptive app name, this surely has it! Check this volume slider out as a way of at least getting a taste of Android P without the hassle of either installing a developer preview or, even worse, buying a new phone later this year. Android P like Floating Volume Panel with default duration for it. Color for Volume Notification bar and for Widget too. Launch the app once it is installed. There are two special permissions you will be required to enable which are Do not Disturb and Screen Overlay. Apart from these, the app requires the Run at startup permission but you don’t have to manually enable it. Once enabled, you can start using the app already at default settings but you might want to change the slider position to right center. 3. 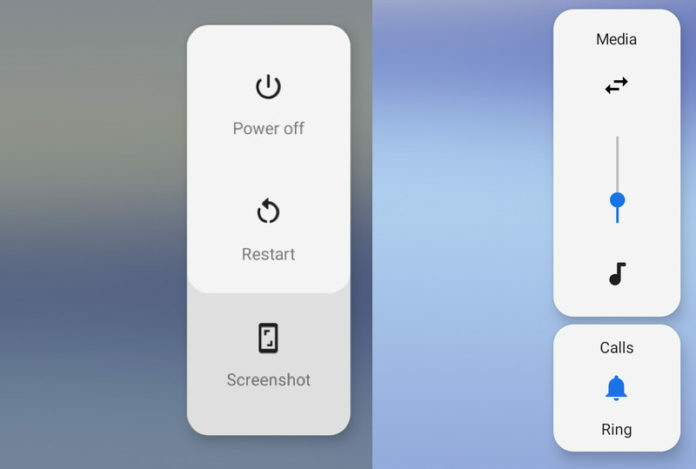 There are a bunch of other settings you can play around with such as changing the colors of the sliders and icon, the color of the persistent notification which contains the icons for the different volume channels, etc. 4. Using the app is where you may need some help. You’d think that from now on when you press the volume button, you see an Android P-like slider. Here’s the catch, that doesn’t happen. You will still see the default Volume dialogue if you press the Volume buttons. To bring up Android P Volume slider, you’ll need to pull down the notification shade and tap on the icon of the volume channel you want to change the volume for. 5. 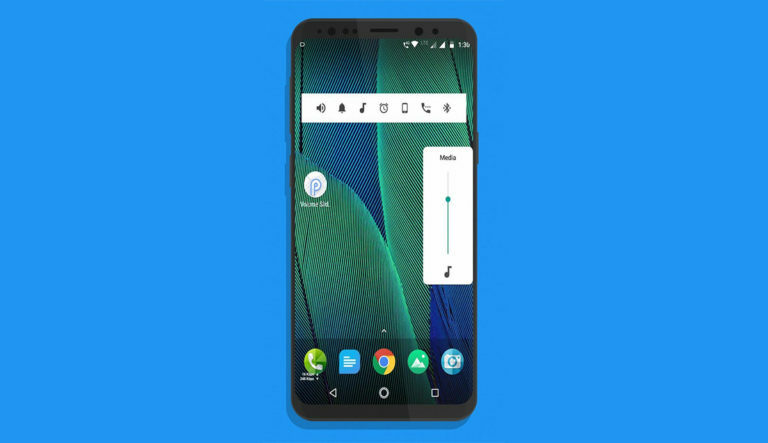 If you want to, you can also place the Android P Volume Slider widget on your home screen which is essentially the same thing you see in the notification tray. Simply using the Volume buttons may have been a lot easier but that’s currently the only way this works. This is exactly How you can Install and Use the volume slider. For more Tips, Tricks and jailbreak do follow our website and Facebook.